The word is that the Green Cuban Cockroach (Panchlora nivea) aka Green Banana Cockroach, first got to the US on shipments of fruit from the Caribbean. Like most cockroaches, it is nocturnal. It is a strong flyer and is drawn to bright lights at night. This species does not breed in houses and prefers to remain outdoors if possible. It reaches a maximum length of about 2″, usually about an inch long. The immature is dark brown. I have not seen many here in South Georgia but this one, last week was in the bed of my truck. This week’s question is about this structure that Daddy and I recently saw and can you tell me what it is and where is it? 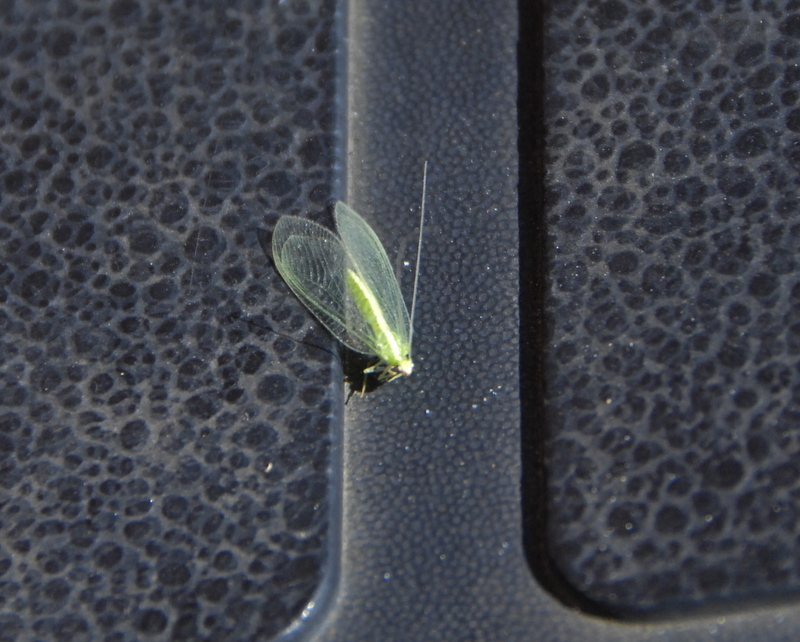 Last week I had a photo of a beneficial insect, the lacewing. 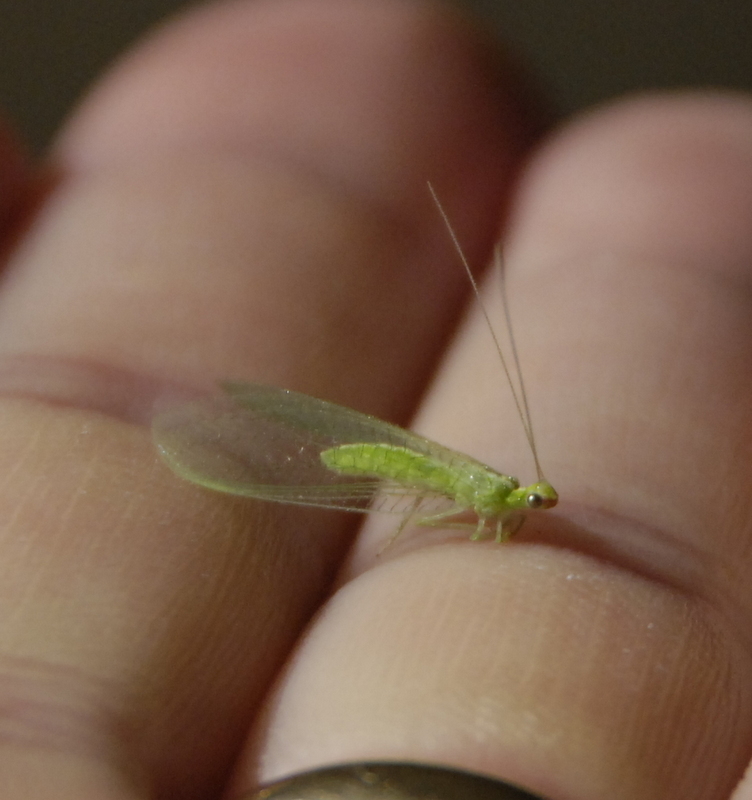 It comes in several varieties, this is the Green lacewing. There is the closely related Goldeneyed lacewing and a brown one, too. One of God’s beautiful creations. 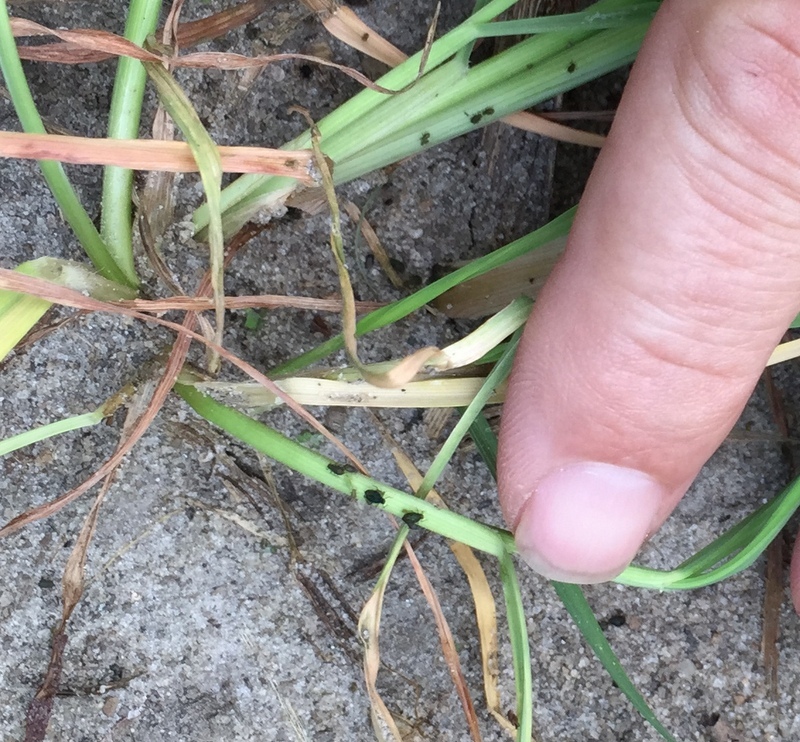 The larvae looks like a little alligator and stays busy eating up bad bugs so we are always glad to see them. 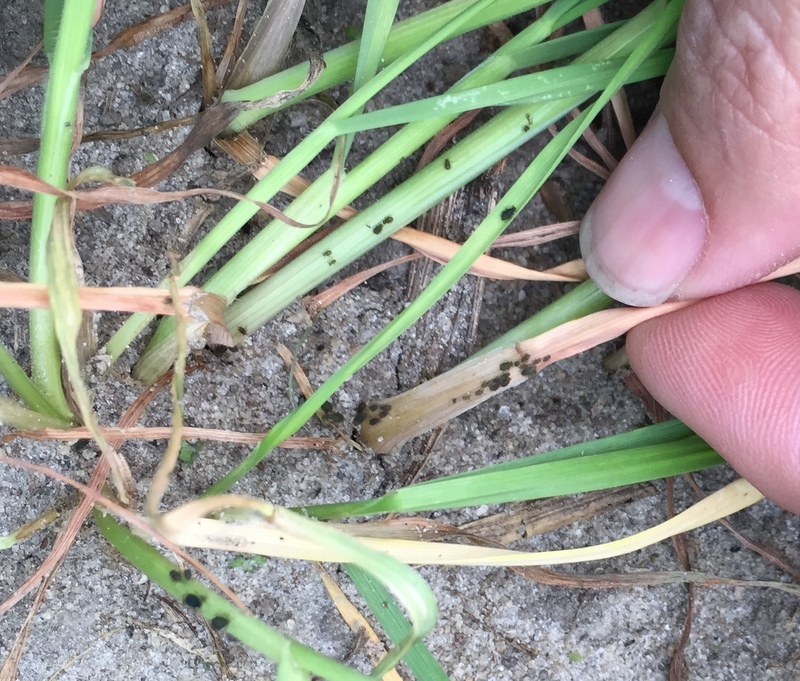 Here’s a photo of the larva eating sugarcane aphids taken by Andrew Sawyer, Thomas County Agent. 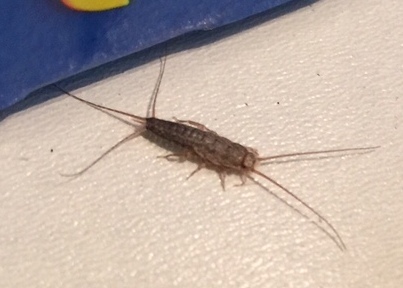 This week I have another insect ID question. I found this insect in the back of my truck. What is it? Last week I had a photo of a plant I wanted you to identify. It is Sunn Hemp, Crotalaria juncea, not to be confused with Showy crotalaria, Crotalaria spectablis. The old Showy Crotalaria was planted here many years ago as a rotation crop, it is a legume. I believe the shade tobacco growers used it some. The only problem is that it is poisonous to livestock. 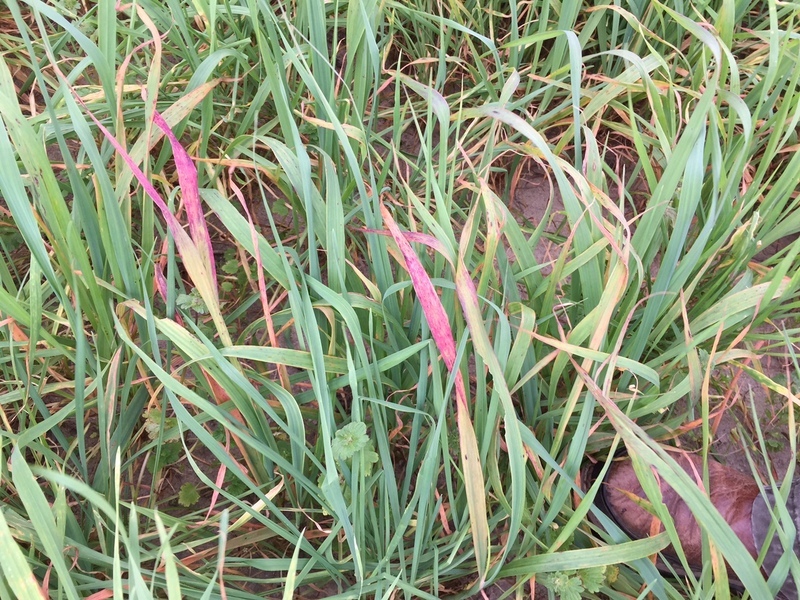 I still often see some volunteer plants growing in many locations. Here’s a link to a post I made about it a while back. Sunn Hemp is used in some cover crop mixes for summer use. 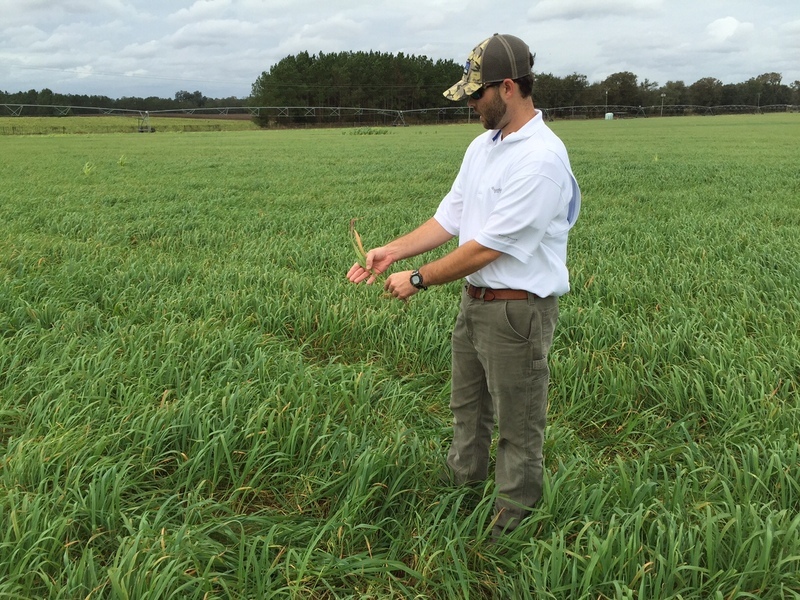 University of Florida has some useful information about it in their brochures, Management of Nematodes and Soil Fertility with Sunn Hemp Cover Crop1and Sunn Hemp for a Cover Crop. “Sunn Hemp is a rapidly growing crop that is used for fiber production in India and Pakistan. It is most popular as a green manure in many tropical and subtropical areas in the world as an organic nitrogen source. 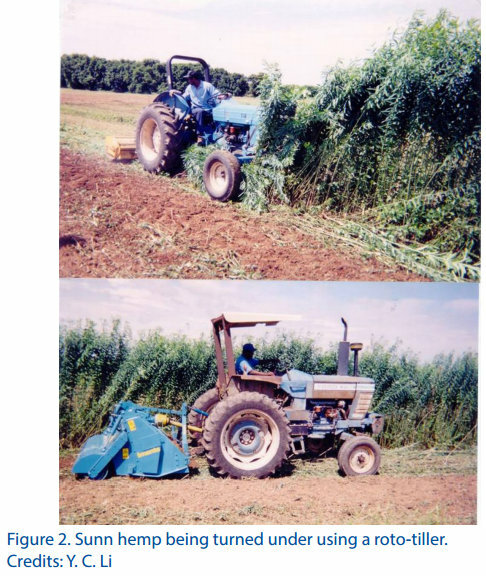 Recently, there is a growing interest in rotating sunn hemp with cotton in the southern United States and in using sunn hemp as a summer cover crop in Florida and other southeastern states. Sunn hemp suppresses weeds, slows soil erosion, and reduces root-knot nematode populations . When plowed under at early bloom stage, nitrogen recovery is the highest. 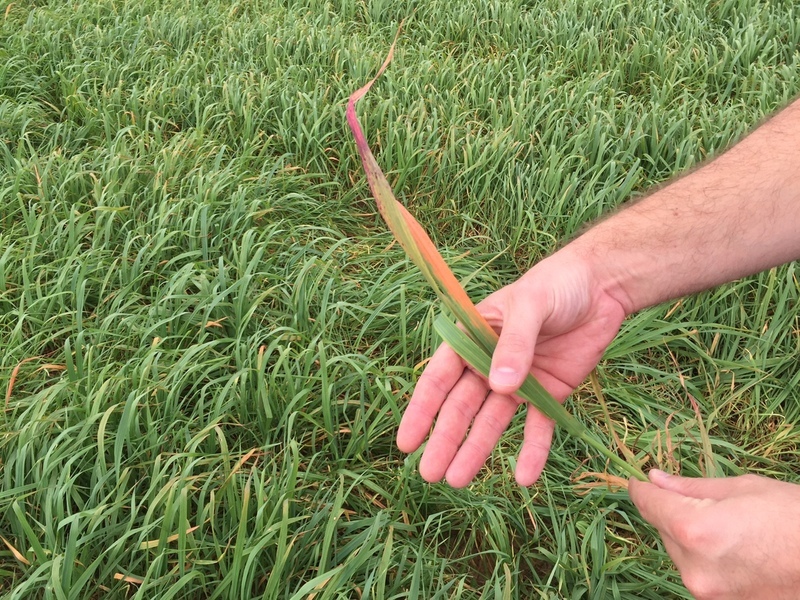 Under optimum growing conditions such as in Hawaii, ‘Tropic Sun’ sunn hemp can produce 134 to 147 lb/acre of nitrogen (N) and 3 tons/acre air-dry organic matter at 60 days of growth at 40 kg seed/ha (Rotar and Joy, 1983). In northern Florida, sunn hemp is usually grown in the summer and can produce 2.4 tons/acre of dry biomass and 98 to 125 lb N/acre (Marshall, 2002). In southwestern Alabama, plants grown for 9 to 12 weeks produced 2.6 tons/acre dry-matter and 112 lb N/acre (Reeves et al., 1996). Although in the tropics, ‘Tropic Sun’ grows and produces seed year-round at elevations of 0 to 900 ft, and in summer up to 1800 ft, sunn hemp does not set seed well in Florida (R. Gallaher, personal communication). Sunn hemp is usually planted in summer in Florida (Rotar and Joy, 1983), but it is suitable as a green manure crop as far north as Maryland. This week I have another question for you. 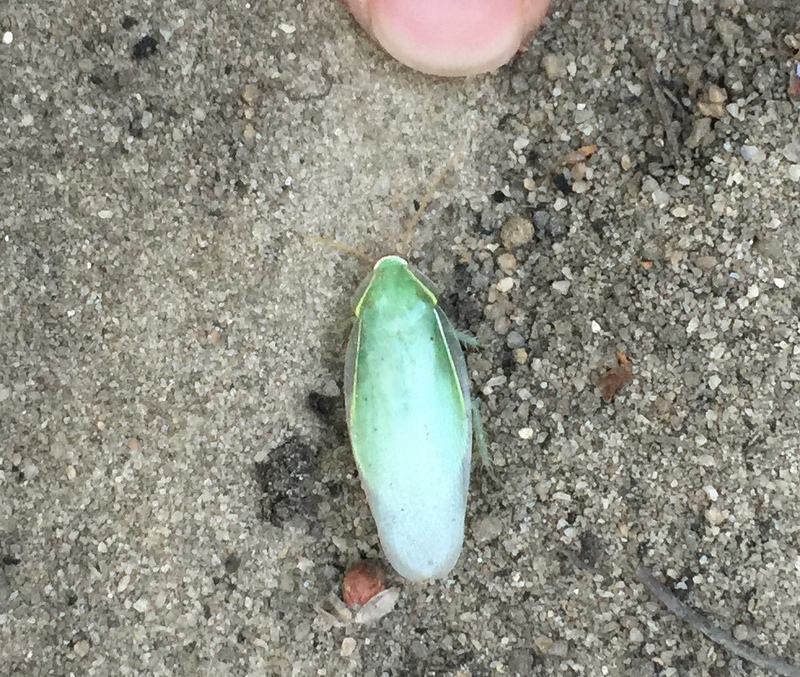 What is this insect and is it good to have on the farm or not? I’m seeing lots of news about the Kissing Bug and UGA Entomology’s Nancy Hinkle just shared this good information about it. We have a lot of bugs that look like the kissing bug but are different. There’s not much to worry about from them in Georgia. 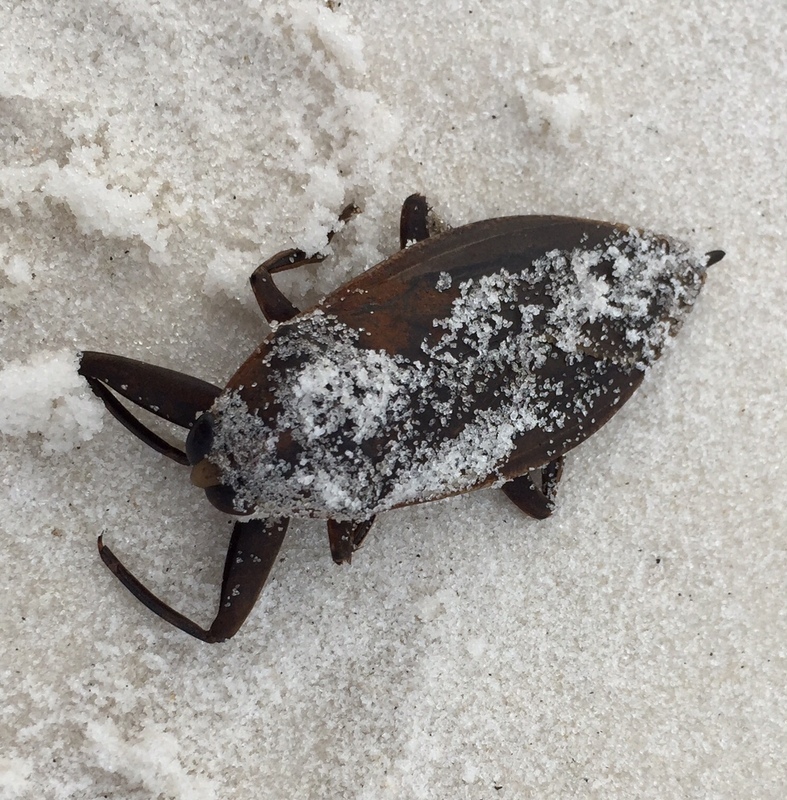 Kissing bugs have been in Georgia for maybe millions of years. They, and their relatives such as leaf-footed bugs and wheel bugs, are common. Kissing bugs are not deadly and most of them are not infected with the parasite that causes Chagas disease. The Chagas disease parasite is transmitted only by the feces of specific kissing bugs. In other words, being bitten by the bug will not harm you but rubbing the bug’s excrement in your eyes might make you sick. While Chagas disease is not uncommon in Central and South America, only 23 cases acquired here in the U.S. have been reported in the last 60 years. 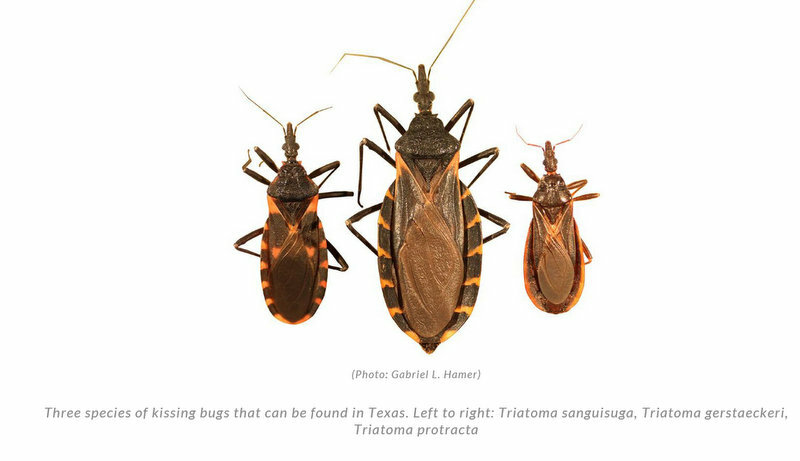 Areas of Texas just north of Mexico have lots of infected kissing bugs, and that’s why Texas is in the news. 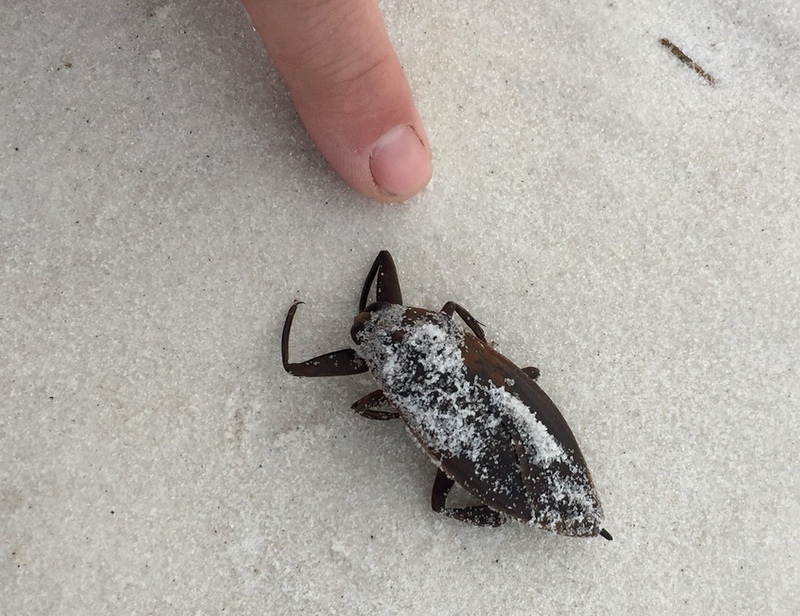 For us here in the Southeast, the risk isn’t being bitten by a kissing bug (very little chance of that). 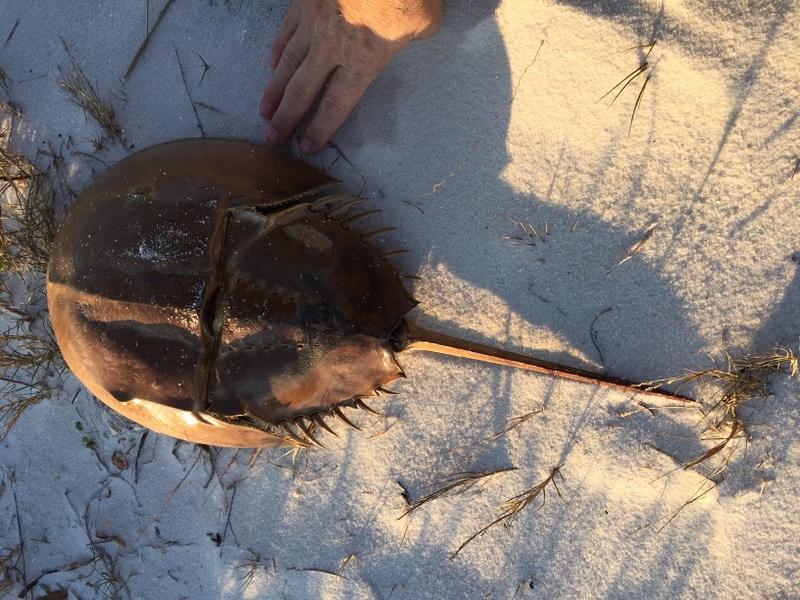 The riskier behavior would be cleaning up raccoon, opossum, skunk or armadillo nests; that’s where the bugs live and where kissing bug feces are most concentrated. The animals aren’t the risk, nor is the bite of the bug; we can get infected with Chagas disease only by getting the bug’s feces inside us – through a break in the skin, through swallowing, through inhalation, or through rubbing our eyes. Again, not much risk if we stay away from the nests of wild animals. 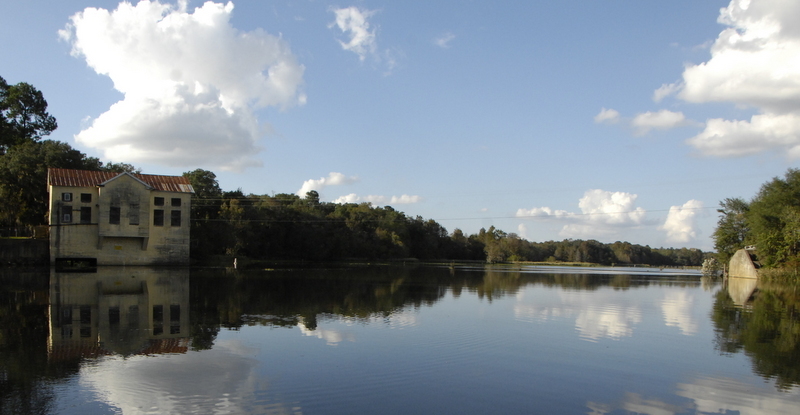 Not every potential reservoir is infected. Here in the Southeast very few of the bugs carry the parasite. In the U.S. we are more likely to die in an automobile accident than to ever in our whole lives get infected with Chagas disease. What can you do? Keep bugs out of your home by turning off porch lights at night to avoid attracting the bugs. Seal around doors and windows with weather-stripping and replace door sweeps; if cold air can’t get in, neither can kissing bugs. And, of course, freezing cold nights are sending kissing bugs into hibernation, so the risk is even lower this time of year. Give thanks for your cozy home that protects you from kissing bugs. 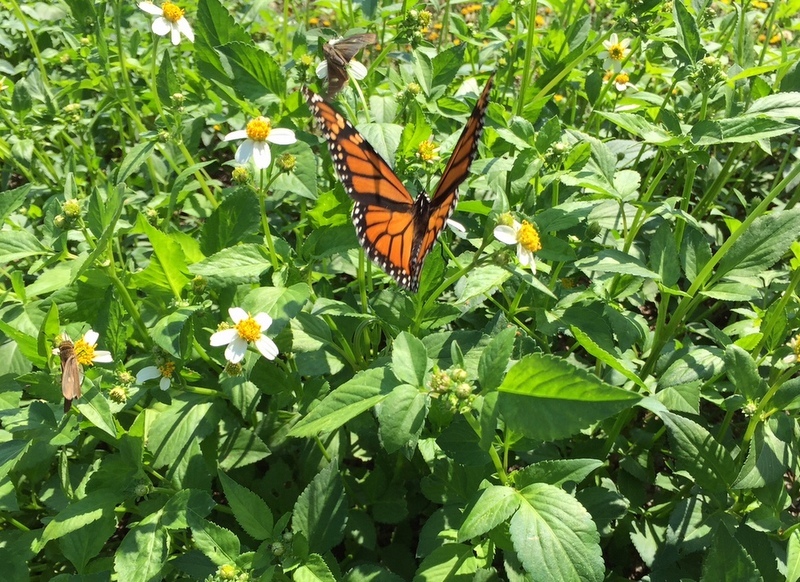 Last week I had a photo of some butterflies we saw down on the coast of Florida. They were abundant due to it being migration time for them. They were getting ready to fly over the Gulf of Mexico to their wintering grounds. What an amazing creation the Monarch is! Here’s more information from the University of Florida concerning them. “The monarch is the only butterfly species in the world to undertake a long-distance roundtrip migration. 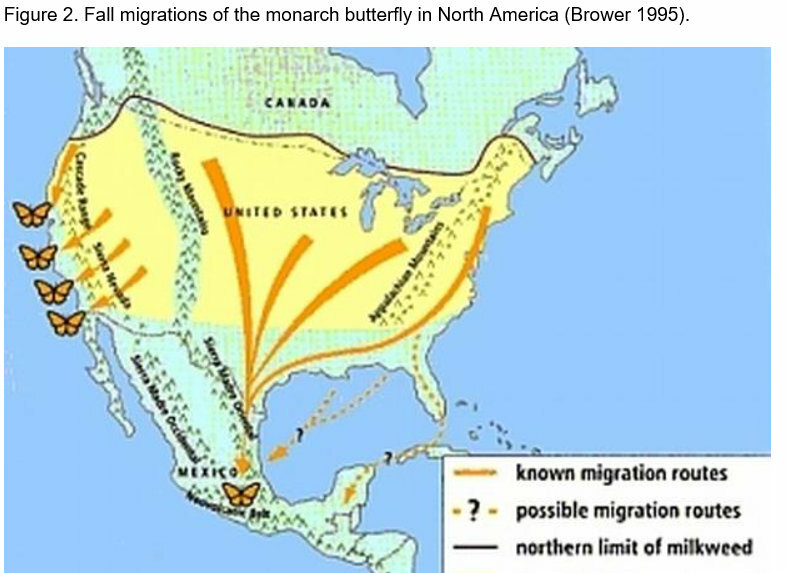 Each fall, monarchs west of the Rocky Mountains travel to specific sites on the California coast, while monarchs from the eastern U.S. and southern Canada undertake a much longer journey, up to 3,000 miles, to wintering grounds in the mountains of central Mexico (Figure 2). 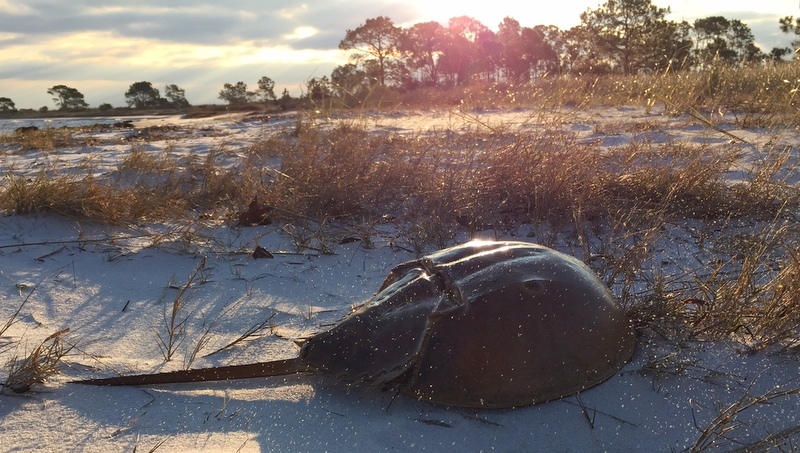 The scope of this migration resembles that of many bird species, and the fact that it is being undertaken by a paper-thin insect weighing less than one gram is truly a source of wonder. Researchers are still uncertain how monarchs navigate their journey, but believe that they use a combination of directional aids such as the magnetic pull of the earth and the position of the sun, rather than a single method. More amazing still, the butterflies that migrate each fall are three or more generations removed from those that made the journey the previous year. Here’s this week’s question… What are these and why are we seeing a good many now in public places in town? 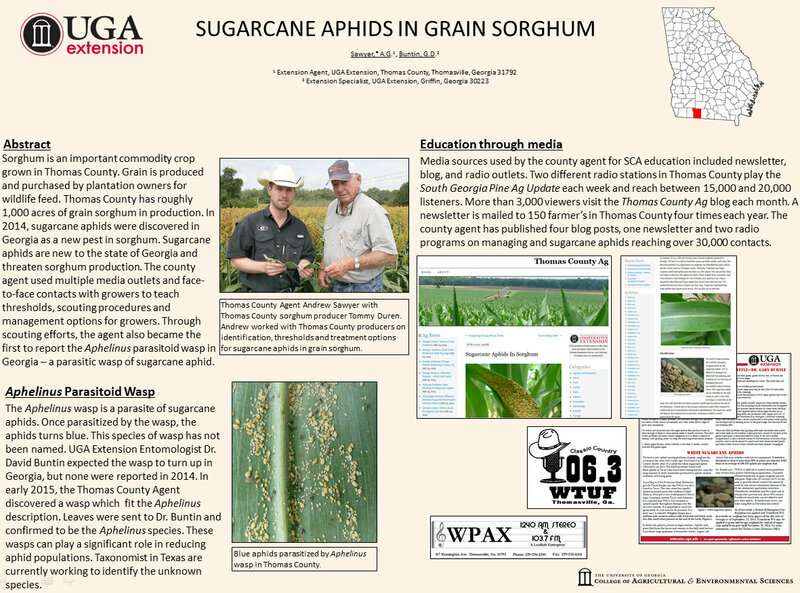 Sugarcane aphids have been a real problem in grain sorghum since they came in last year. Thomas county Agent, Andrew Sawyer had a good poster at a meeting this week and I will post it here. 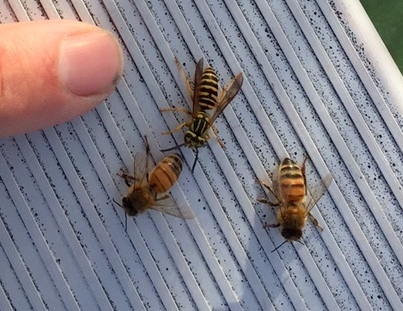 He found a beneficial wasp that is working to help us control the aphid and that’s good news. Click here to go to directly to Andrew’s excellent Blog.